Having an attorney by your side can make a huge difference. Insurance companies may want to provide you with reasonable compensation unless you have an experienced law firm on your side. Finding the right lawyer for you can seem daunting, but you should not make any decisions before you truly know the value of your claims. 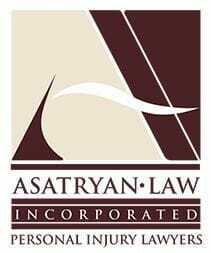 At Asatryan Law, our team provides experienced representation to Southern California clients with personal injury claims. We meet with each client directly, so that you will be able to learn more about your case and how the law may impact your claims. We are thorough in our preparation, making sure that we are ready for whatever twists and turns that may happen in your case. We limit our practice solely to personal injury cases, because we have seen how hard it can be for accident victims to receive a fair fight. Founding attorney Mher Asatryan worked in the insurance industry before starting our firm, and has firsthand knowledge of the methods they will use to discredit your claims. We take our responsibilities to you seriously, and we will not let them take advantage of you when you are in such a difficult position. There is no risk in contacting our lawyers about your case. We will carefully examine your claims, and be straightforward with you about your options. If you do not need an attorney, we will tell you that. If we feel that we can be of assistance to you, we will tell you exactly what we can do to help you recover maximum compensation. Throughout your case, we will make repeated efforts to engage the insurance companies in meaningful negotiations to settle your claims. If the insurance companies refuse to bargain in a fair manner, we have taken a number of personal injury cases to court. No matter what type of injuries you may have, if the insurers fail to offer reasonable compensation, we will litigate your claims. We are completely committed to helping you recover mentally, physically and financially from the injuries you suffered in your accident. To schedule your free consultation, please call our Van Nuys office at 818-208-0000 or send us an email. We represent clients throughout the San Fernando Valley. For the convenience of our clients, Armenian, Russian and Spanish is spoken at the firm.